Good evening. This is Michael. It is February 13, 2013 and on this eve of Valentine's Day, I have love to share with all the ladies out there. 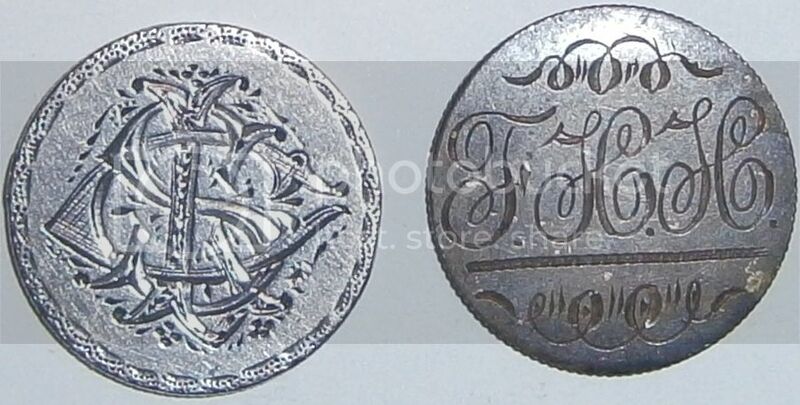 This blog entry features two Love Tokens fashioned from Seated Liberty Dimes from the 1880s. One is dated 1882 and the other is dated 1886. Love Tokens are engraved coins. In the late 1800s, it was quite common for people to smooth over and engrave coins with initials or another kind of design. The two examples presented here are engraved with the initials "CIS" and "FHH". These are two wonderful expressions of love and romance in the nineteenth century. I hope all of you enjoyed viewing these lovely specimens of the Victorian Age. Thank you for watching everyone and I wish you and your special someone a very Happy Valentine's Day.